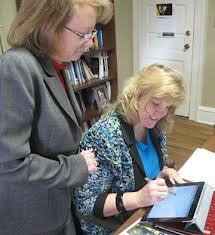 iPads in the classroom make excellent learning tools. Many teachers love them and students just adore using them, so it is easy to see why iPads have become such a popular type of classroom technology. They are transforming the traditional lecture style classroom model to a more engaging and participant friendly learning environment. 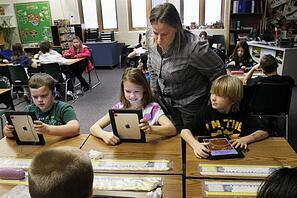 With this tech-savvy generation, using technology in the classroom like iPads just makes sense. 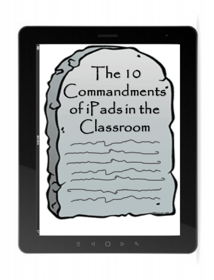 The 10 Commandments of iPads in the classroom will help guide you through the things you must not forget when implementing these fantastic learning tools on your school wireless network. You can’t just buy a bunch of iPads, hand them out and you’re good to go. You need to prepare your school wireless network, which will need to have a pretty robust infrastructure to support all these new devices. iPads require a strong, dependable connection to the web. Your school wireless network must be able to support a hefty volume of devices at the same time without losing network speed. 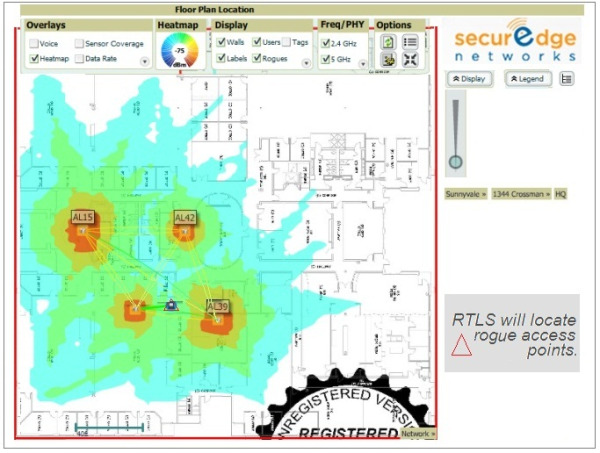 If you deploy 600 iPads then you need a wireless LAN that can handle all of them being connected simultaneously. This one is vital, and must not be overlooked. Having an iPad policy is essential. You want to take the time and cover all the possible questions, rules, expectations, and the rationale behind the decision to bring iPads into the classroom. Make sure it is clearly written to avoid any future disputes or issues. Also, by providing all teachers, staff and students with a list of clearly written frequently asked questions, you can avoid having your IT staff overwhelmed with the same simple questions. Make sure that not only do all students have to read and sign, but also all the faculty as well. You may even want to require parents to read and sign as well. You want your students and teachers to get the best out of their new learning tools and all those great apps out there will help them do that. Chances are, even though there are tons of good free educational apps out there your students and teachers will need some paid apps as well. So, it would be smart to go ahead and create a budget for these paid apps so you are prepared for this inevitable expense. Many don’t consider this ahead of time, but it’s important to think about how you want to keep up with your iPads before you bring them all in. 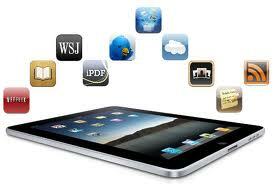 Consider how your school will keep track of the location of each iPad. If you don’t decide to have the students take them home you may decide you want the iPads stored in a mobile cart. If so, make sure the iPads still fit on your cart after you put the cases on. Make sure you give your educators the adequate amount of time to get familiar with these mobile devices and how they want to use them in their classrooms before you go passing them around to students. Give them time to get comfortable using the iPads so if they need to assist student they are prepared and feel prepared to do so. Also, consider training classes to let them bounce ideas off each other and help each other out. More often than not, teachers need instruction on how to incorporate the devices into the learning process. Laptops are great, iPads are great, but they are not the same learning tool. iPads are fabulous tools meant to compliment laptops, not replace them. So don’t try to equally compare them to laptops. The functionality is different and you will get frustrated real quick. Both types of devices have multiple pros and cons. 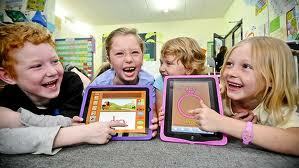 iPads enable hands-on-learning which is important, especially for younger students. So, learn to appreciate their intrinsic value and take advantage of their vast benefits instead of trying to compare them to laptops. You are probably spending a pretty penny on all these iPads so you want to make sure you protect them. Do the research and invest in some really good protective covers for your iPads before putting them in the hands of clumsy students. Trust me; it will be worth your while, especially if the device goes home with students. You might think getting all your parents on board with your iPad implementation plan might be a walk in the park, but if you don’t plan for how you will inform them and prepare them that walk in the park might turn into more of like a hike up a mountain. Parents want what’s best for their children. They need to understand why these devices are being introduced in the classrooms. Clearly communicate your case to the parents of all the benefits, learning opportunities and new activities having this exciting new classroom technology can bring. You could even give them success stories of other schools that have used them. Okay, I understand that it’s not always financially possible for schools to equip every student with an iPad, so students end up having to share them. The thing is iPads were designed as a single-user device and not meant to be shared. Students can’t individually log-in like they can on a computer. So, to get the full functionality each student really needs their own. Schools that can’t afford 1-to-1 could consider BYOD (bring your own device) instead and have students that can’t afford their own devices rent them from the school; just a thought. Last, but not least make sure you don’t forget to prepare your students. Yes, this generation is a bunch of digital natives, but there are still students that may not be familiar with using iPads or the best ways to find information. Make sure help is available to show them how to use them and how to filter and think critically about the information they are finding. 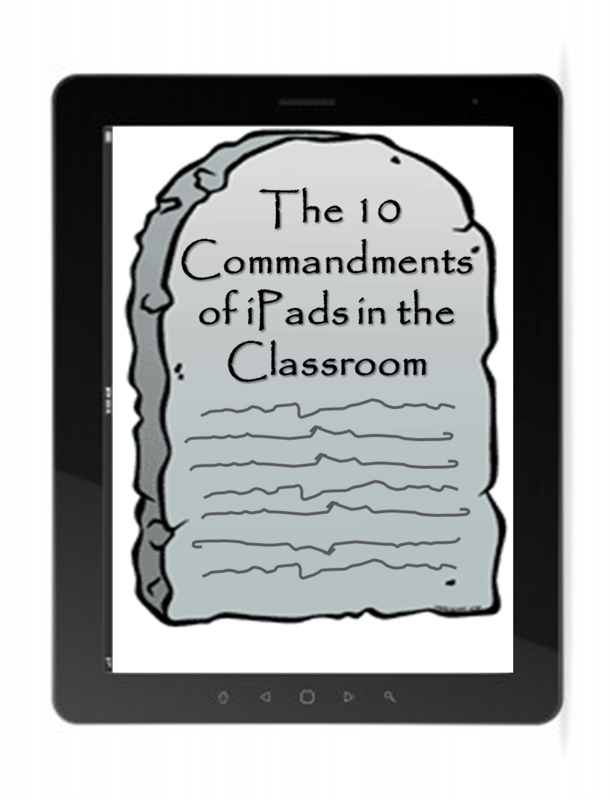 Use these 10 Commandments to help guide you through your iPad implementation process. There are so many things to consider, so if you need it we are here to help. We have worked with schools all over the country. If you have any questions or would like a free consultation just contact us here. Good luck!